I’ve written about older brother of this tube in an earlier post – Valvo Long Plates. This tube is true part of the family. 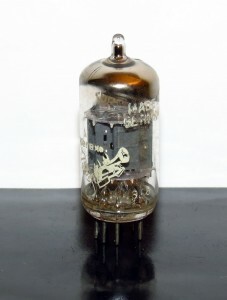 Produced in late 50s (this specific tubes is from 1959) to early 60s. Sound, although is not as musical as long plates, but it’s a pleasure to listen to it. One of the truly great 12au7 tubes. The sound is transparent, romantic with good mixture of warmth and top register sparkle. Airy and relaxed – you just want to keep listening to it. What strikes the most about this tubes is how smooth it is and how good treble sounds. Amperex is a great example of what I’m talking about, but this tubes has outdone Amperex in treble department. HIGHLY RECOMMENDED.